Whenever you proceed to shred your documents in the shredding machine, the machines cuts the paper in strips and lays it bare in the bins. The house keeping guy will proceed to dispose the contents of the shreds in the dust bin. Well, there – you heave a sigh of relieve thinking your non-retrievable data has safely gone from this world or is it? Reconstructing shredded paper records is a very tedious process and requires resources in the form of many man hours. Very resourceful identity thieves have all the time in the world to un-shred the paper records and obtain the data necessary to commit a corporate fraud. It’s super tedious but definitely worth all the time in the world for the thieves to look in to. How many of us really have a level 4 or 6 shredder that can securely and safely, though not a guarantee, it can destroy all the data. The most common identity theft occurs at the time when you least expect and sometimes at the point when the cause is gross silliness on your or your employee’s part. I am not trying to scare you here but if you delve on the facts – theft occurs only when you least expect it. Here the adage cannot be applied – better late than never. If you do not take precautionary measures to control your data, it might have already been too late. There are risks you cannot ignore and it’s not of a question of how but if and if you can avoid it – No, but you can certainly prevent it from happening with the help of experts. Each and every paper document has a life. May be a few months to maybe years, but definitely not forever, once a paper record serves its purpose it must be digitized and destroyed. There are many other disadvantages of storing paper for a long time. Paper records need attention from time to time and one cannot help but dedicate resources for its upkeep. In today’s day and age, globalisation has diversified businesses and helped raise new businesses as well. The office space and some of its key functions now function as separate entities. First were the office boys, the HR soon followed and now the upkeep of records. Off-site records storage, secure shredding and destruction of records is one area of businesses has great potential. The reason it’s great is simply because they manage to invest in security and safety in more ways an in-house department can do. Sometimes you might even want to call it overkill. But it’s worth the efforts and investment to avail their services. That’s about it. You need to give it a good thought before you realise you don’t need it or maybe planning it in your next financial year. 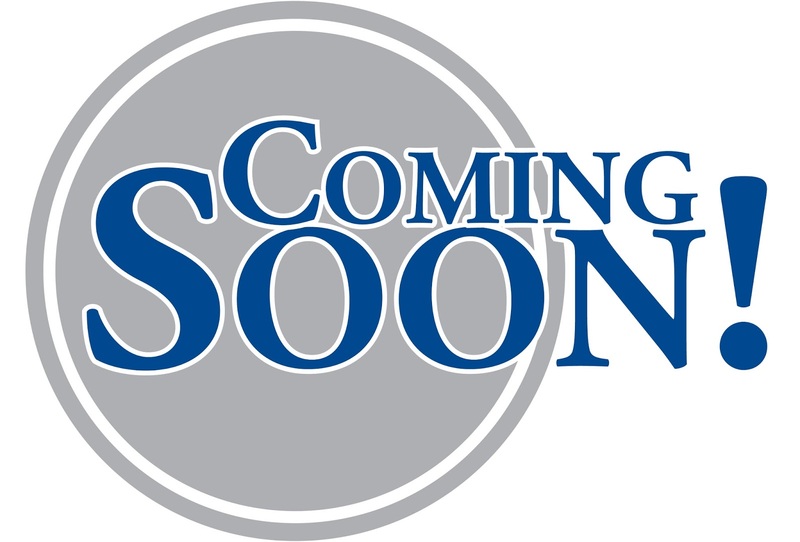 The need to do it is now and requires utmost urgency to secure you records in way you would want it. Prevention is always better than cure! Take look at your own office spaces. A keen look is essential if you’ve dealing with paper records or managing your records is part of your business requirement. Things have taken a drastic turn with the introduction of the internet and some records going paperless from time to time. It will come to many of us unsurprising that many companies still need to maintain paper records for their transactions or for keeping some client records on paper. This is the most unavoidable part of business that can never be undone or disregarded. Granted, since its inception essential paper records are needed and this will remain unchanged until and unless something else takes its place. It isn’t easy to accept changes to paperless documentation but the amount of saving that it brings along is often ignored. When a particular company invests in the business, it wants to save or rather in business terms invest in some cost-effective products for sales of products or service. Minimising of records could be one of the options but not recommended as there’s a limit to the amount of minimising one can do. Okay, now let’s explore two options that we have off-hand: Digitisation or Record Management. May be you can go for both depending on your business requirements. Why should you go for both or either? The answer is simple, it’s cost effective! It is these record management companies that take of the security for you rather than you investing for expensive security arrangements. That’s one weight off your chest! Whenever you need to access your documents you can either do so online or you can ask for retrieval of the actual physical document and have it sent back to the warehouse for storage. All of this can be done online or on your smart phone as well. A world of convenience exists not to take it away from you but to make your experience with the service great if not good. One can find many benefits of Off-site record management especially when you have to deal with lot of paper records. One most important reason which some businesses don’t realize that paper records have a particular age, it’s not the age of paper but the actual lifespan of the record. A record - be it on paper or online does have a lifespan. Sooner or later the paper record is no longer required and it ultimately outlives its purpose. It has to be destroyed. While it may be simple to do so online with the push of the delete button, it is not so simple with paper records. Most businesses aren’t aware that paper records, when they become old needs to be destroyed. 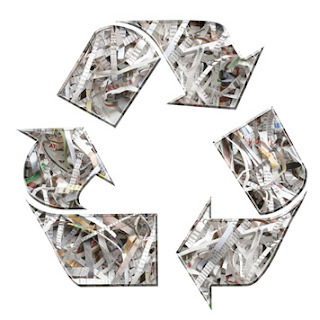 A secure destruction and shredding is required for those types of paper records. And would you prefer to do it yourself with insufficient resources to take up the job? Record management is not something new to the information age. Companies in particular have managed their own records for some time. Many companies maintain their paper records in files that are needed from time to time for later use or referral. Some records in particular outlive its use and have to be disposed safely and securely. Maintaining many paper files is also susceptible to pests – permanently damaging your record. With the rise in costs of maintaining records, the infrastructure involved in it – companies have no choice but to digitize their record. 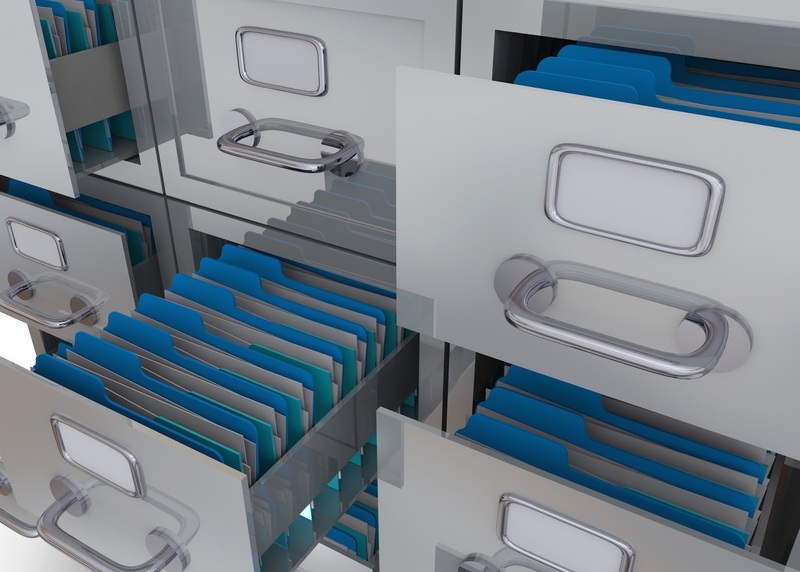 There are costs involved in setting up a digital storage infrastructure and some instances required the paper record presence for referral purposes. Maintaining record especially paper records demand a lot of resources. Simply stacking them at one corner of the store-room will not solve the problem. Some companies maintain their records like that in a library for easy retrieval with carefully marked and well segregated shelves. No matter how organized you are, you will eventually run out of space. Enter: Record Management Services. Professional record management services manages all your records, digitize them with the latest security in storage locations and one of the easiest and convenient options presently available is to digitize your records. Panoramic Record Management Services provides innovative solutions for all your record management needs. The service offered by various companies differs, the technology they use differs and so does the cost. Depending on the type of storage management you are looking for you can choose what suits you best. Our expertise in Document Management at your door-step will give you guidance you need for the management of your record. Physical documents in box files, files and other documents are carefully tagged to make sure quick retrieval. The inventoried documents are tracked down with our web-based services. Customizable software solutions will help in monitoring your documents. Today’s smart phone generations also demand handy access to various services. You can order food, shop on your App, surf the net, etc. In fact, the best thing about smart phones is they can pretty much do everything a computer can do. The ease of access and the handiness that comes with it is manifold. We have taken a step further and developed an app for you on android devices. Just like food that has a particular shelf life, so does a physical document. Papers are not able to stand the tests of time and are susceptible to weathering. As the years pass by, they gather dust and dust mites, cockroaches, silverfish and many types of beetles infect paper, books and files. The faeces of these insects can disfigure the contents making them unreadable. The added tropical climate of the country worsens the state of files and other physical documents. Once these documents are damaged by the insects, it’s next to impossible to retrieve the information that it contained. Pest control to protect your documents may bring about a temporary reprieve but it won’t last that long. The pests will return to infest the unending supply of paper in your office. Papers, files and documents also particular shelf-life, they also need the right kind of care, the right temperature and the perfect conditions to survive. 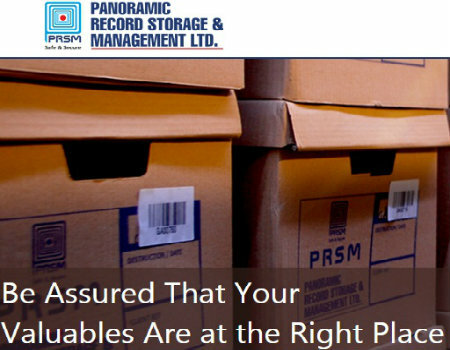 Panoramic Record Storage Management takes extreme care when it comes to storage of your precious document s. Our long-standing experience will put your mind at ease with our professional managed service and ethical management. There comes a time when you no longer need the documents you stored as it may be of no use for you or any of your departments. Our wide experience of safe shredding and destruction of your records will be taken care of responsibly according to your need. View our range of services to make sure professional management of your records as you want it the way you want it.